Dr Christopher de Souza, better known as Chris, is a dental surgeon and a Galweigan himself. Dr Chris graduated with an Honours Batchelor of Dental Surgery Degree from University College Cork in 2016. He spent the past few years in private practice in Ireland and made the move home to Galway and joined the RDent team in July 2018. Chris is a very caring, passionate and friendly dentist. In 2017 he was nominated by his patients for the ‘Sensodyne Dentist of the Year’ award. At University Dr Chris won the BDS perpetual trophy award in behavioural science. This was for his recognition of dealing with those patients whom have a fear at the dentist. It’s safe to say his kind manner can put patients at ease for an enjoyable visit to the dentist! 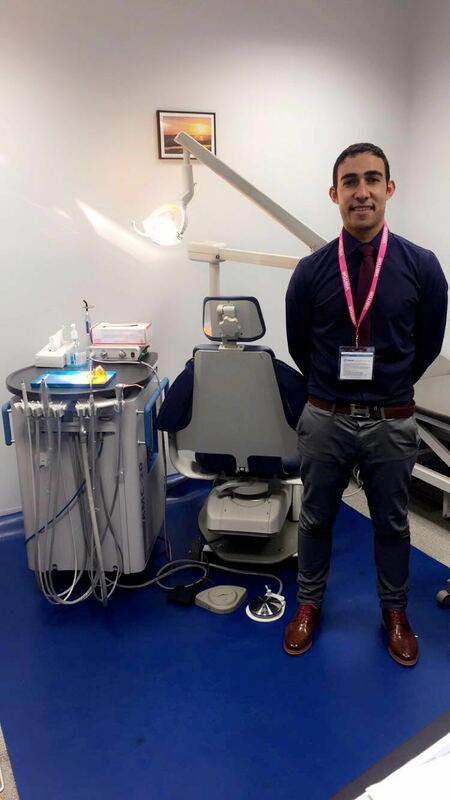 Dr Chris is highly competent in a broad range of treatments including cosmetic work, difficult extractions, restoration of implants, dental prosthetics and root canals. Dr de Souza says “It’s all about treating the person and not just the mouth. With that, you can have a broad focus to treat a variety of issues with a high standard of clinical care”. Dr Chris utilizes the most up to date techniques. He also engages with continuing professional development courses, which enhance his knowledge of procedures, materials and equipment which promotes good quality care. Chris’s view is to provide a high quality of patient care and to try his best to meet expectations. In his spare time Dr. Chris can be found spending time with his family, keeping healthy at the gym and although he has never played for us we heard a rumour that he also can play guitar!